The Myth of a Christian Religion. 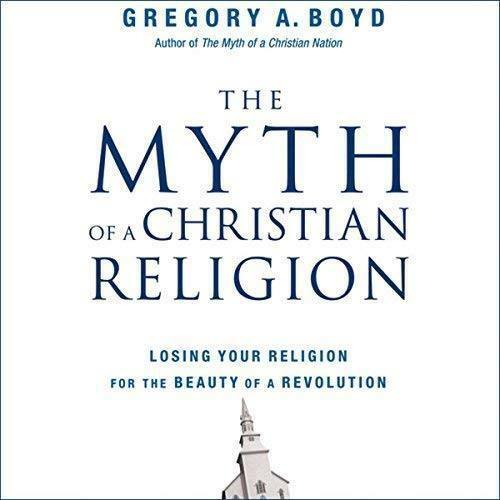 I have started reading The Myth of a Christian Religion: Losing Your Religion for the Beauty of a Revolution by Gregory Boyd. This is not a scholarly book, but rather an easy and relaxing read, especially since I agree with most of the author's conclusions. I regret that the author - as it is frequent in Modern Anabaptism (and in many evangelical circles) - is rather dismissive of the Old Testament and even at times prejudiced against Judaism as he sees it. He could come to the same conclusions by other means, without having to contrast so much the "Old Testament" with the "New Testament." That being said (and the Trinity aside - one of this author's obsession), most of the points made by the Gregory Boyd are worth making, and I would even stay desesperatly needed in our current political context. QUOTE - "the early Church experienced explosive growth in its earliest years by the beautiful way followers of Jesus chose to die rather than fight. Constantine's alleged vision, telling him to go to war under the banner of Christ [...], changed all this. Christ was reduced to a pagan, nationalistic god of war. Once Christianity became part of the empire's nationalism, masses converted to it. While many followers of Jesus resisted this watering down of the faith, the Church, on the whole, embraced it. In the minds of thinkers like Eusebius and Augustine, God had blessed the Church by making it a powerful, politically influential institution. Not surprisingly, in the centuries that followed, the Church, more often than not, lacked the capacity to distinguish clearly between the Kingdom of God and whatever national kingdom it happened to find itself in. Leaders as well as masses to often embraced their nation's values and goals as though they were God's own. Consequently, the Church was often reduced to little more than a religious puppet of the government and assigned the job of blessing its nation's causes and military exploits, just as pagan religions have done throughout history. [...] bloody intra-Christian wars arguably did more to push the West in a secular direction than any other single factor, including the scientific revolution and the Enlightenment. And this simply illustrates the diabolical consequences that followers fail to resist the demonic pull toward nationalism." 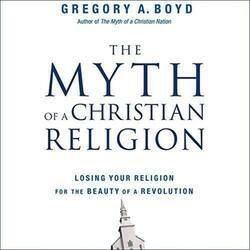 (Gregory Boyd, The Myth of a Christian Religion: Losing Your Religion for the Beauty of a Revolution (2009), pp. 82-83)… (By Har Tsiyyon).